Monaco, the second smallest independent state in the world after Vatican, is the world’s most densely populated country. The microstate is six times the size of the Vatican, and is located on the Mediterranean Sea, surrounded by France. Despite of having an area of only 2km2, the principality is treated as a part of the Schengen Area, though not an official member. It is not a member of either the European Union or the European Economic Area as well, but it still maintains an open border and customs union with France and the other Schengen states. The country is well developed, relying mostly on its casinos and tourism. It is estimated that every 56th person in Monaco has a fortune worth $30 million. Monaco is ruled by a descendant of the Grimaldi family, which is the oldest ruling house in Europe. A lot of people wonder what country is Monaco in and ask is Monaco part of France. A lot others wonder “Is Monaco a country?” Actually, Monaco is an independent country. It gained its independence from the Republic of Genoa on January 8, 1297. According to an old treaty valid until 2002, if the Grimaldi family left no heir behind, then Monaco would become a part of France. The new 2002 treaty between France and Monaco, ruled out the previous one, claiming that the latter would still be independent, even if the royal family leaves no direct heir, thus expanding the pool of potential heirs. There are people of 125 different nationalities residing in the monarchy of Monaco, which means its citizens speak many different languages. However, French is the official language. Native Monaco nationals are known as Monegasque, whereas the others are known as Monacan. The national flag of Monaco is the same as the flag of Indonesia, two horizontal red and white stripes, just different in width. As for the well-known Monte Carlo, the term officially refers to an administrative area of the Principality of Monaco, where the Monte Carlo Casino is located. Who needs a visa for visiting Monaco? Due to Monaco-France agreements and the established close relations, if you need a visa to France, then you need a visa to visit Monaco too. Actually, a France visa, entitles you to enter Monaco, and a France permit gives you the right to remain there for the appointed period, as well. As a result, if you do not need a visa to enter the Schengen Member states, you do not need a visa to for visiting Monaco as well. All this is regulated by the Franco-Monegasque Neighborhood agreement of 18 May 1963. The agreement, signed in 1963 and modified several times over the years, regulates the movement of French and Monegasque people between both countries and foreigners passing from one of the two countries to the other. French and Monegasque citizens can move freely in each other’s territory. 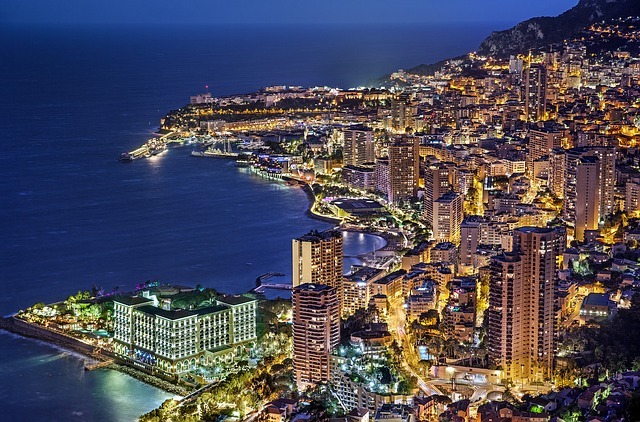 Monaco undertakes to apply its own legislation relating to the entry, stay, and establishment of foreign citizens on its territory in accordance with the French legislation relating to those matters. In addition, since Monaco does not have its own visa system, visa submission and procession is delegated to France. All those in need of a visa to Monaco should apply at the competent French embassy or consulate in their country of residence. Check the list of countries that need a visa to enter Monaco, to see if you need one. The process of obtaining a visa to Monaco is identical to the process of obtaining a visa to France. Follow the steps listed below to obtain a visa to Monaco. 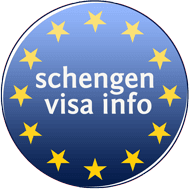 When you attend your visa interview, you will need to present the required documents for a Schengen visa. There are a number of commonly required documents, for every visa type. In addition, some extra documents are required depending on the visa type you wish to obtain and the purpose of entry to Monaco or the Schengen zone. What documents are needed for a Monaco visa application? Application Form – fully completed with correct and honest information that complies with that in the other documents. You can download the form from the official Monaco embassy or consulate in your country, or here. Two photos – that are a very important part of your application. These photos should be identical, and taken within the last three months. You face should be centered in the photo covering 70-80% of it. The background should not be busy, and no big accessories should be seen in the picture. Here you can find more about visa photo requirements! Passport – With a validity of three more months, beyond the date of your intended return to your home country. The passport must be issued within the last 10 years and have at least one blank page, in order to be able to affix the visa. Older passports – that contain visa stickers or visa stamps on them. If you have more than one older passport tie them all together with a rubber band. Do not staple them, instead. Copies of biometric data in your passport – make one copy of the pages with information in your current passport and submit them alongside with the other documents. Flight Itinerary – that is a booked / reserved flight ticket from your home country to the closest French airport to Monaco (since Monaco does not have an airport), and back. Find out how to get a flight reservation without paying the full price. Health Insurance – that covers the whole Schengen area, for your whole period of stay in this territory. The insurance should cover medical expenses in case of any health emergencies as illnesses or accidents, as well as repatriation in case of death, with a minimum of €30,000. Cover letter – which is a letter written by the visa candidate, in which he or she explains why they wish to visit Monaco. The letter must contain details on when the applicant plans to enter and exit the principality, where they will remain throughout their stay, and what they are going to do there. Proof of Accommodation – a document that shows where the traveler plans to stay during their time in Monaco. If you plan to stay at a hotel, you will have to present a hotel booking. If you plan to stay over at friends or relatives, a letter of invitation by that person is a must. A rental agreement will be required if you will be staying at a rented property. Evidence of financial means – among others, you need to submit proof that you have the necessary financial means to support yourself throughout your stay. This could be a banks statement or a letter of support by a sponsor that will financially support your trip. In addition, according to your employment status, you will also have to submit the following documents. Aside of the generally required documents when applying for a Monaco visa, you will also have to submit some extra documents, depending on the purpose of your intended trip to Monaco. Following, find the specifically required documents for each of these visa purposes. Travel Itinerary – a detailed description of the visa candidate on their trip. This document should include the purpose of visiting Monaco, the arrival and exit date, what the candidate is planning to do there, and their personal data. Affidavit of support – which is a letter written and signed by another person who is willing to financially supports the traveler. Bank statements of the sponsor should be attached to the letter, in order for it to be valid. Hotel Booking – which shows where the traveler will be staying, the dates he or she will remain there, and details about the hotel. If the traveler will be staying at a resident of Monaco, a letter of invitation has to be presented. Letter of Invitation – which is a letter written by a resident in Monaco who is willing to host you during your stay in the principality. The letter should include details about the host, as their name, address and the relationship they have with the traveler. Travel itinerary – that contains details about what the traveler will be doing in Monaco, where he or she will stay, and whether they will be traveling to the other countries or not. Invitation letter from a company in Monaco faxed also to the corresponding consulate. This letter has to appear as an invitation to attend meetings or other similar events matching trade, industry or work. A letter from the employer, describing the purpose of the travel as well as the itinerary of the days the applicant is going to spend within the Schengen zone. The letter must also state whether the sending or the inviting company will cover the expenses of the visa candidate during his/her stay in the Schengen Zone. Police record clearance – which you can obtain at the relevant authorities in your home country. This document shows if you have been involved or committed any criminal offence in the past. Accommodation proof – that shows where you will remain throughout your long-term stay. This could be a rental agreement, or hotel booking for this whole period. Work permit – required in case you will be engaging in paid activity. The Employment Department of Monaco issues work permits for the principality of Monaco. Work contract – between you and an employer of a company / organization in Monaco. Like stated before, since Monaco does not have its own visa system, visa submission and procession is delegated to France. As a result, you will need to file your visa application at the embassy or consulate of France in your home country. In some countries, French embassies have outsourced visa submission to companies that offer visa services. You should check with the embassy of France in your home country for more information in this regard. On the other hand, since a Schengen visa enables you to visit multiple countries in the Schengen Area, if you are planning to visit more than just France and Monaco, you may have to file your application elsewhere. The earliest you can apply for a Monaco Visa is three months prior to your planned trip towards the country. The latest you can apply is two weeks before the trip. These are the rules set by the Schengen states, as they have estimated that this is the most suitable time for application submission, for both the embassy and the applicant.. In general, a French embassy anywhere in the world takes around ten days to process an application for a Monaco visa. Still, depending on the number of the applications that the embassy is receiving at the time, or the specific case of a particular applicant, the processing time can be extended. That is why, you are suggested to apply as soon as possible for a visa to visit Monaco. During peak season, at the summer season, visa-processing time usually extends as well, due to the high number of applications that French embassies receive. However, there are some visa exempt categories, which do not have to pay any fees when applying for a visa. Moreover, there are discounts on the price of a visa submission, for some specific third countries. If your visa application is rejected, you can always appeal this decision by writing an appeal letter for Schengen visa refusal. When it comes to the interview, prior to attending it, take care to read some of the commonly asked questions during a visa interview in order to be prepared in advance. Is Monaco part of Schengen? Monaco is not officially part of the Schengen zone. Still, since the European microstate has no borders with the member states of this territory, therefor it is considered as de facto within the Schengen Area. Is Schengen visa valid for Monaco? Yes, a Schengen visa is valid for Monaco. Since France is part of the Schengen Are, due to the Neighborhood agreement between France and Monaco you can enter the principality with a Schengen visa, or any other French visa. How long can I stay in Monaco with a Schengen Visa? You can stay in Monaco with a Schengen visa for 90 days, within a six months period. However, remember that any other day that you spend in the Schengen zone, is counted as well. Anytime you wish to check whether you have been in this region for more than permitted, just count the 180 last days. If you have been in the Schengen territory for more than 90 days, then you have violated the validity of your visa. Do US citizens need a visa to visit Monaco? US passport holders do not need a visa to travel to Monaco, but US residents traveling to Monaco might need a visa. Do UK citizens need a visa to visit Monaco? UK passport holders do not need a visa to travel to Monaco, but UK residents traveling to Monaco might need a visa.